People come to therapy to understand themselves, or to understand a situation that has a lot of conflict in it. And people understand themselves in relation to others, they gain clarity through connection. There is an anecdote that I tell my clients that often explains this process:There is a little girl who asks a lot of questions and asks her mother “Mama, why does the sun wake us in the morning?” And the mother says, “Well because it turns the night to day.” And she says to her father “Papa, why does the sea sometimes seem rough and why is it sometimes calm?” And the father says, “Well, it has to do with the currents and the tides.” Many years later, the parents are sitting with the little girl who is now grown up, and the father says, “Remember all of this questions you used to ask me, do you remember all those answers?” And the little girl says, “No, I don’t remember all the questions, I don’t remember all the answers, but what I do remember is that you were always there, and that you always tried to answer my questions, and explain.”That’s what therapy is about, that’s what we try to do for our clients. We try to connect, we try to provide a safe, non-judgmental space in which we can help give an explanation for their questions. Carolyn:People come to WFC, often because they are feeling stuck in their lives. We help them to examine their behaviors, relationships, beliefs about themselves, and anything else in their life, to really implement change. Tai:First and foremost I want my clients to feel safe. Carolyn:I think all the clinicians here really feel it’s a priority to help clients feel that this is a place where there is no judgement. Tai:This is a space that they want to come in to, and are able to do deep work. Eve:Trust needs to be built, and it’s my job to help create trust and safety in the room, so that people really can go into the places where it is so hard to touch into thoughts and emotions. Vicki:The team is a web, we all talk to each other, we all compare and share information, so that we know that when we’re trying to work with a client, we’re all on the same page. Tai:A collaborative, really talented, caring group of clinicians, who all have different approaches and different areas of expertise. Loredana:We love the team aspect of WFC, and so do our clients. They feel cared for, they feel safe. Vera:Every person that comes in here is supported. Not by only one clinician, but whatever clinician they need. Vicki:WFC also recognizes that the individual is a web, a web of interconnected issues, whether it be physical, mental, emotional, lifestyle related. And instead of just trying to address one piece of it, we try to address all of it, and that’s very, very unique. Nicholas:People have a story to tell, when they come to WFC it’s our role to listen and to hear them. We want to empower our clients to continue to write that story, with a positive ending. 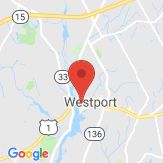 Westport Family Counseling (WFC) is a group practice made up of a diverse team of therapists and healthcare professionals. We offer counseling and ancillary services for children, teens, and adults, with issues such as anxiety, depression, ADD, acute and post-traumatic stress, parenting concerns, and marriage and relationship issues. Our comprehensive treatment team includes therapists who are trained and certified in EMDR, a powerful intervention used for trauma, Post-Traumatic Stress Disorder (PTSD), panic, phobia, and many other chronically disturbing experiences. WFC also provides support for issues that are unique to populations such as new mothers, blended families, adoptees and adoptive parents, and teens and adults dealing with eating disorders. We have a warm and whimsical play room in our office, where we conduct play therapy sessions with children. Our playroom also has a sand tray and we offer Sand Therapy for children and adults. While we offer traditional psychiatric care and medication management, we also offer alternative therapies. We improve emotional regulation through Meditation and Mindfulness-Fitness. WFC… all that we do is geared toward helping you create a greater sense of balance and wellness.